Take this opportunity to learn about the Canadian province of Saskatchewan. Saskatchewan is located in the prairie region of Canada, bordered by Alberta to the west, Manitoba to the east, Northwest Territories to the north, and the US states of Montana and North Dakota to the south. Saskatchewan is Canada's "sunniest" province, averaging 2,000 to 2,500 hours of sunshine annually. The province has a population of just over 1.1 million, with Regina, the capital city, counting roughly 240,000 and Saskatoon, the largest city, having a population of 300,000. Saskatchewan is home to 72 of Canada’s First Nations, with reserve lands scattered throughout the province. Historically, immigrants were attracted to Saskatchewan by the availability of wide pieces of fertile land. Today it is primarily the province’s fast-growing modern economy that attracts new immigrants to build their lives in Saskatchewan. Saskatchewan is often referred to as Canada’s breadbasket, as the province produces 28 percent of Canada's grain and over 54 percent of Canada's wheat crop. While agriculture is still very important to Saskatchewan’s economy, generating about 5 percent of GDP, service-based sectors such as finance, insurance and real estate (17 percent of GDP) also make a significant impact. The province is also rich in minerals such as potash, uranium, coal, oil and natural gas. Saskatchewan is Canada’s leading exporter of potash (fertilizer). The unemployment rate in Saskatchewan is currently less than 4 percent, the lowest in Canada, making Saskatchewan a good place to find work in Canada. The minimum wage in Saskatchewan is $10.50 per hour. Saskatchewan has a high standard of living, which helps to attract immigrants to settle in the province. The average family income is approximately $80,000, higher than the Canadian average, and the minimum wage is $10.20. The cost of living in Saskatchewan is quite affordable by Canadian standards. Housing costs are among the lowest in Canada, with natural resources helping to keep down energy costs. Saskatchewan has a strong tradition of publically-funded social programs that make a major contribution to maintaining high standards of living for all residents of the province. It was a former Premier of Saskatchewan, Tommy Douglas, who is considered the father of Medicare in Canada, pioneering the drive for universal free healthcare that has since been adopted throughout Canada. Purchasing or renting a home for a family is relatively affordable for newcomers, by Canadian standards. Only about 65 percent of Saskatchewan residents live in urban areas. With less urban demand to drive up prices, Saskatchewan has traditionally had very affordable housing, but this has been on the rise lately because of its successful economy. The average house price in Regina is approximately $338,800. Houses in Saskatoon have an average price of $352,000. In Canada all citizens and permanent residents under the age of 20 are entitled to attend, free of cost, schooling through the end of secondary school. Saskatchewan provides an education for kindergarten through Grade 12 through its public school system, with curriculums regulated by the Ministry of Learning. In addition to the standard program, the provincial education system also offers education in French and in First Nations or Metis languages. After completing secondary school, the province of Saskatchewan has a number of different options for students to continue their education and training. Anchoring the province’s post-secondary system are the province’s research universities: University of Saskatchewan and University of Regina. The province is also home to the unique First Nations University of Canada. For those wishing to enter a skilled trade, the province offers apprenticeship programs, as well as nine regional technical colleges and 50 private vocational schools. Under Canadian Law, all provinces and territories must provide universal, publicly funded healthcare to all citizens and legal residents of Canada. In other words, most basic health services in Canada are offered at no direct cost to the patient. Certain procedures that are not deemed necessary (such as elective cosmetic surgery and a number of dental care procedures, for example) are generally not covered, but the list of services paid for publicly varies from province to province. Saskatchewan has a rich history dating back through more than 5,000 years of First Nations settlement in the region. The province is fortunate to have some of the strongest remaining First Nations and Metis communities in Canada. The first Europeans to arrive in present-day Saskatchewan made their way to the province in the late 1600s and were explorers or fur-traders. The province of Saskatchwan at this time would become part of the Northwest Territories, which would include much of modern-day Canada. Shortly after Canada became a country with confederation in 1867, immigration to the area which would become the province of Saskatchewan increased. With huge expanses of unsettled territory, the government of Canada would pass the Dominion Lands Act of 1872, which allowed newcomers to earn title to land if they cleared it and put it into production. The result of this act was a major inflow of newcomers from various locations, especially Eastern Europe. By the time Saskatchewan became a province in 1905, it had become a very multicultural place where dozens of langauges were spoken. Saskatchewan is multicultural, the product of immigration throughout its history. At the end of the 19th century a major influx of people from Ukraine and other parts of Eastern Europe settled in Sasktatchewan. As many of these groups, such as the Douhkobor community, had left their countries of origin to escape persecution, they took great efforts to keep their cultural practices alive once they arrived in Canada. The result of these efforts is a colourful cultural mosaic that makes Saskatchewan a warm and welcoming place. As Saskatchewan developed as a rural farming economy, the pioneering spirit remains an important part of the province’s culture. Early settlers braved tough conditions and worked hard to clear and farm their land, banding together to help each other and creating a strong spirit of community that continues in the province today. While the province is much more urban than it was in the past and boasts a modern industrial and service economy, this sense of community helps to create the high quality of life enjoyed by Saskatchewan residents. Saskatchewan is home to just over 1.1 million people. Nearly 35 percent live in rural areas, a figure that places it among the highest in Canada for rural living. 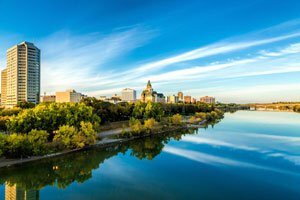 As for the remainder, roughly half of the total population of the province lives in its two largest cities, Saskatoon and the capital, Regina. With its economy growing strongly, Saskatchewan is hoping to increase this population at a steady pace through immigration. Built from rapid influxes of immigrants beginning in the 19th century and continuing through to today, the population of Saskatchewan represents a wide range of origins. Some of the most prominent origins identified are German, Irish, Ukranian, First Nations, Scottish, English, French, Metis, Norwegian and Chinese. A large majority of the population lives in the southern half of the province. Immigration is one of the most important elements in defining Saskatchewan’s culture and history. In addition, immigration is expected to account for a large portion of the province’s future growth. Saskatchewan is making efforts to increase the level of immigration to the province, to attract about 10,000 newcomers each year to contribute to its growing economy. 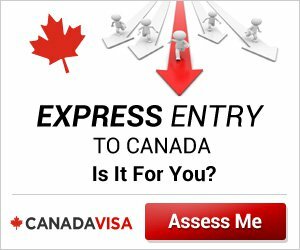 One way the province does this is through the Saskatchewan Immigrant Nominee Program, which allows the province’s government to select individuals who wish to settle in and contribute to the province and speed up their immigration visa application process. Saskatchewan’s program identifies skilled workers, farmers, entrepeneurs, international students and individuals from certain professions in demand, and helps them to settle in Saskatchewan. Canada’s government works on a federal system, with control over certain affairs belonging to the national government in Ottawa, and others under the control of the provincial governments. The province of Saskatchewan has its own democratically-elected parliament (known as the Saskatchewan Legislative Assembly) which is found in the provincial capital of Regina. There are 58 representatives elected to serve as Members of Legislative Assembly (MLA), each serving a specific geographic district. The current government of the province is led by the Saskatchewan Party and Premier Brad Wall. Saskatchewan has historically been one of Canada’s more left-leaning provinces politically, and the social-democrat NDP and its predecessor parties have been in power for much of the last six decades. Former Saskatchewan Premier Tommy Douglas was the first to introduce Medicare, which is a government-funded universal medical insurance. Regina is the capital of Saskatchewan and its second-largest city. The city is home to approximately 240,000 people. Along with a strong service-based economy, Regina benefits from industries that capitalize on the rich natural resources that surround the city. The Regina Research Park, supported by the University of Regina, is a centre for innovation and new technology industries. Regina was named after Queen Victoria Regina of England in 1882. Previously, the settlement had been named Pile-Of-Bones. Saskatchewan was not yet a province at that time, but Regina served as the territorial headquarters of the North-West Territories, of which it was then a part. Regina was named the capital of Saskatchewan in 1906, shortly after it became a province. With its affordable housing and low cost of living, Regina is a great place to make a new home in Canada. As many immigrants have been attracted by these factors in the past, the city boasts representation from many different cultural communities. In fact, Regina’s multicultural nature earned it the designation of the “Cultural Capital of Canada” from Heritage Canada in 2004. The vibrant cultural life of Saskatoon supports many popular festivals, especially in the summer. The Saskatchewan Jazz Festival, Saskatoon International Fringe Festival and Shakespeare on the Saskatchewan Festival are just some of the many events that attract visitors from across Canada and internationally.